A limited-edition palette containing four long-wearing and light-reflecting highlighting powders. The non-dusting texture allows for a buildable layer of shine—from a subtle highlight to a more intense level of luminosity. Verdict: This was my very first holiday purchase from this seasons releases and I must say I was not disappointed. The palette had a nice variety of shades and the color pigmentation was nice and buildable. These highlights were also so smooth and felt like satin when applied. I have read some negative reviews about this palette and I have to say I am not sure why. It could be a manufacturing inconsistency but I had no trouble applying or using my palette. 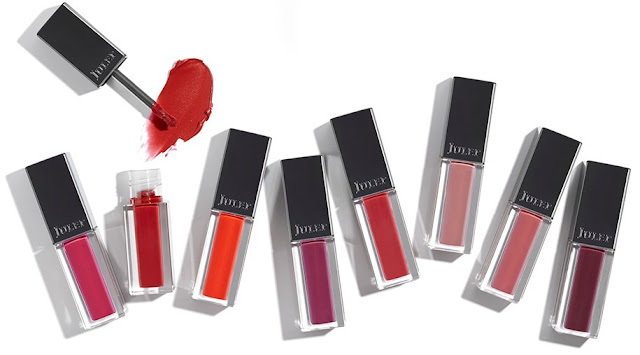 A few months back I mentioned that Julep was going to begin selling their products in ULTA stores nationwide. I recently noticed that the display had finally arrived at my local ULTA store and decided to pick the four ULTA exclusive Julep It's Whipped lip colors. A super-pigmented weightless matte lip color that glides on smoothly and delivers up to 12 hours of long-lasting color. The blend of rosehip oil keeps lips feeling nourished while the blend of pigments minimizes the appearance of lip lines. 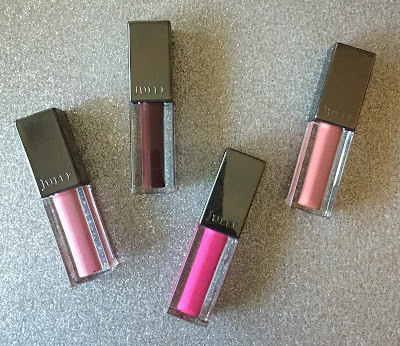 Verdict: These lipsticks have a great formula and come in a nice range of shades. The colors applied very smoothly and were non-drying. I wasn't a huge fan of the applicator because it made applying the lipstick very difficult and messy. Julep should have used a doe foot applicator, i think it would have made a huge difference in application and opacity. 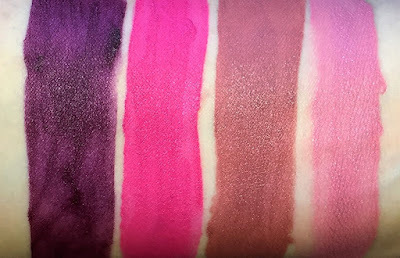 I am a fan of these lip products but I'm not sure I would shell out $20 for one. If you can grab these lip mousses on sale I say go for it. Angel Merino, Better known as MAC_Daddy, is the badass makeup artist who has slayed the faces of Ariana Grande and Chanel Iman. A Los Angeles native, Merino’s parents initially believed that his dream of becoming a renowned makeup artist was unrealistic, but he proved them wrong. 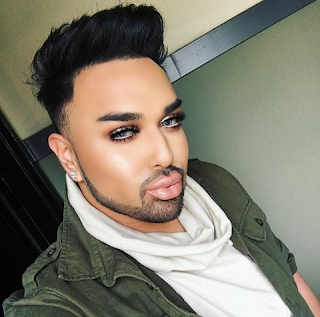 You can find Angel spreading his inspirational words and beauty knowledge through his Flawless Faces Makeup Tour. 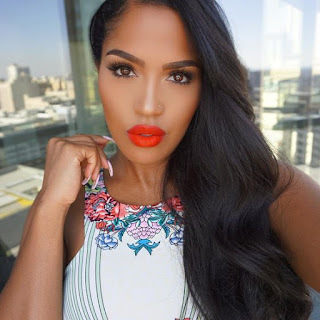 There are makeup artists that are good at what they do and there are makeup artists that slay — MakeupShayla definitely falls in to the second category. Shayla’s work received immediate recognition on Instagram which allowed her to score her first celebrity client. Since then, she has quickly grown her clientele and gone on to do makeup for celebrities such as Monica and Kandi Burrus. Known for her glam looks, you can find MakeupShayla on Instagram and YouTube offering up the best makeup tips in the biz. * This seasons BeautyCon Box was such a disappointment. The items in this box aren't new or exciting. 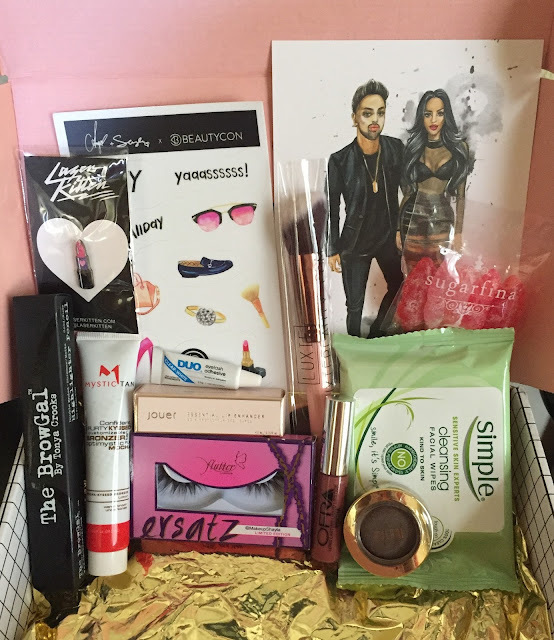 Most of these products have already been sent out in previous subscription boxes such as Ipsy and Glossybox. Compared to the Summer 2016 box this seasons box has fewer full sized items and just seems underwhelming especially for the price. When I heard that Angel was one of the curators I was hoping that there would be a product from his personal brand, Artist Couture, but no luck. I do not see myself using everything in this seasons box but I guess only time will tell. 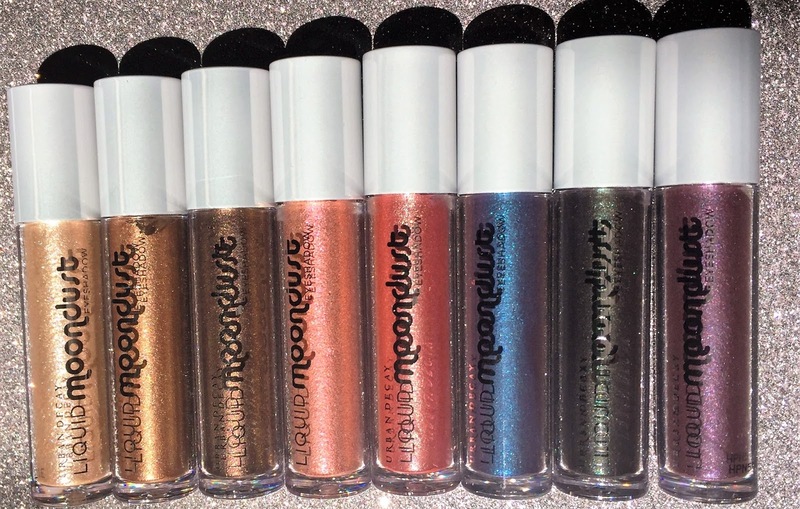 My fingers are crossed that BeautyCon will redeem themselves with the Winter 2016 box. The cream version of Urban Decay’s coveted Moondust Eyeshadow. The Liquid Moondust contains micro-fine bits of iridescent sparkle and lush, 3-D metallics to produce a gorgeous, diamond-like effect. Whether you want to add just a hint of sparkle at the lash line or layer color all over the eyelid, the slim, precise brush helps you do it all. Verdict: These tubes are filled with sparkly, glitter happiness. 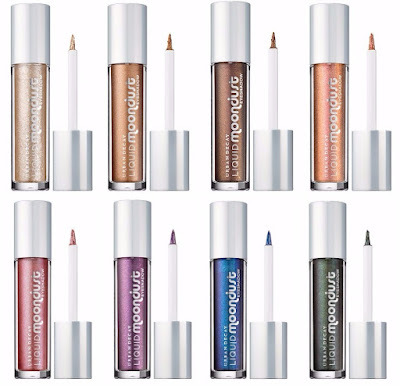 I am not ashamed to admit that shiny things distract me and these new Urban Decay liquid shadows did just that. I wish the photos did the product justice but it is so difficult to fully capture the shimmer in these beauties. The colors in the collection are a great range of neutrals and dramatic shades however the formula does lack consistency. You can see the difference in opacity in the picture above. This isn't a huge issue but you will have to do multiply coats to get the opaque look you desire with certain colors. 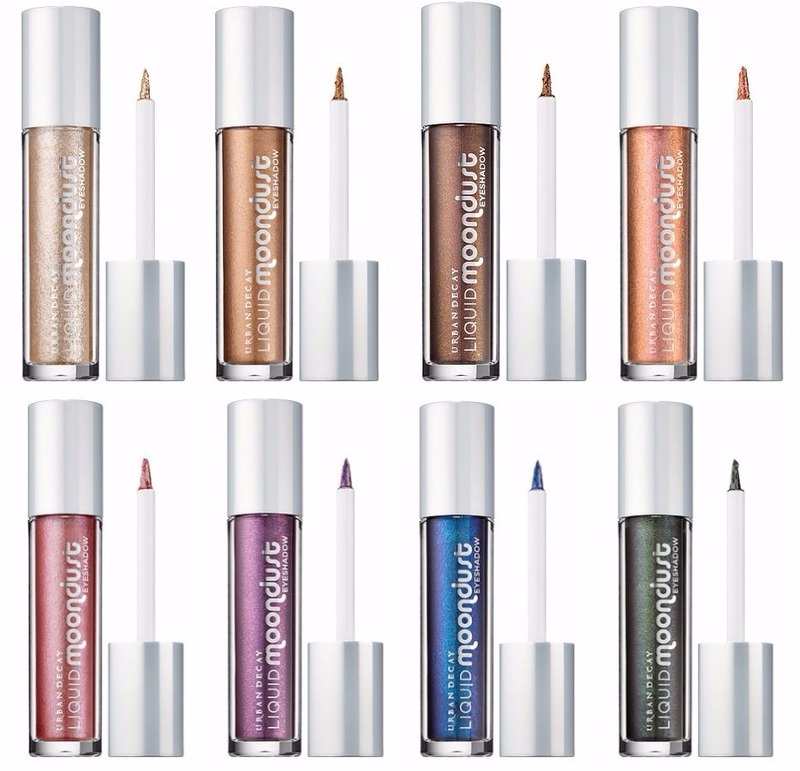 All in all, I am a fan of these new liquid eye shadows. They are highly pigmented and just give off a glamorous vibe.